In a surfer&apos;s paradise where the sandy shore is lined with coconut trees, the resort is part of an exciting Beachwalk mall boasting 200 luxury shops and a cineplex. We&apos;re also steps away from Kuta Beach as well as local art market to immerse in the Balinese culture. Relax at Shine Spa for Sheraton™ or in our free-form Outdoor Pool, connect with computer workstations located in the lobby, and stay fit with Sheraton Fitness. 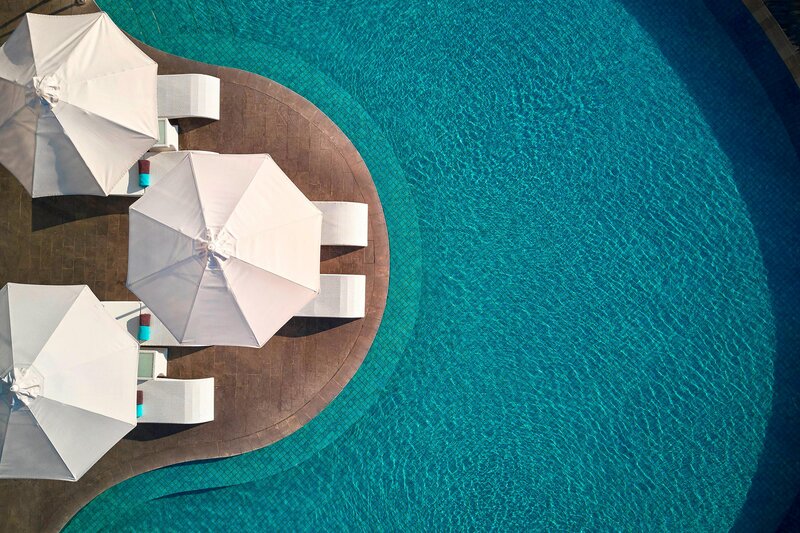 The resort houses three dining venues, Feast® - an upbeat all day dining venue, Bene – an Italian kitchen with oceanic setting and its own rooftop or The Lounge offering a locally inspired cocktail menu and daily afternoon tea. The resort&apos;s 203 guest rooms, including 23 suites, offer private balconies, many with Indian Ocean views. Settle into this comfortable, over sized space boasting an LCD TV, spacious bathroom and the pure white Sheraton Signature Sleep Experience. Located just across the legendary Kuta Beach, the beachfront resort boasts a total of 203 spacious rooms and suites. 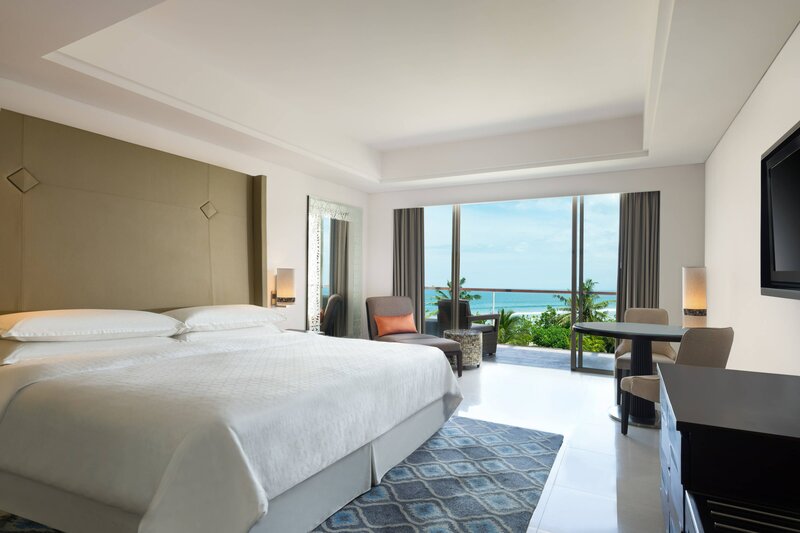 Every room or suite features stunning views of the Indian ocean, each elegantly designed with its own balcony and terrace for the highest comfort. The open kitchen and live-action food stations at Feast displays an abundance of fresh ingredients for a large range of international cuisines. The dining venue is known for revolutionizing the island’s brunch scene with its weekly Feast Market Brunch on Sundays, combining the indulgence of dining with the fun of market shopping. 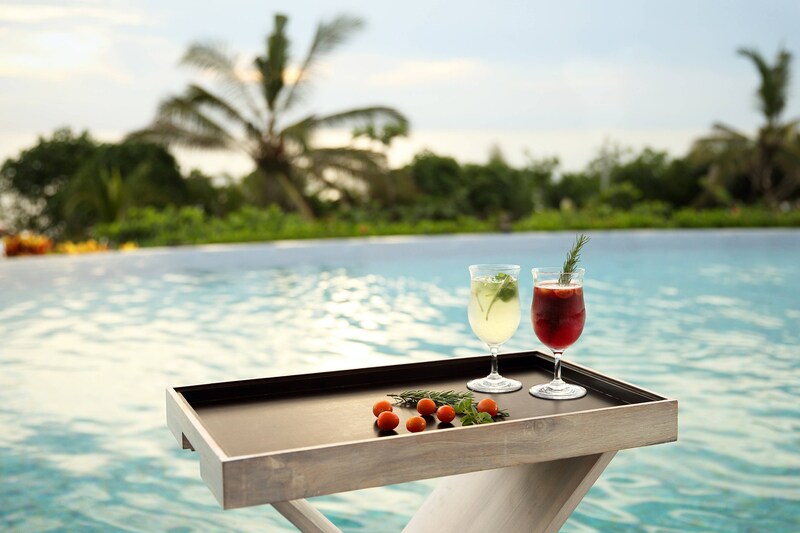 Experience a true island experience with the hotel’s outdoor pool completed with sundeck overlooking the Indian ocean. Adjacent to the pool is the resort’s Bene Italian Kitchen, where guests can order some cool drinks and watch as the sun goes own right in front of your eyes. 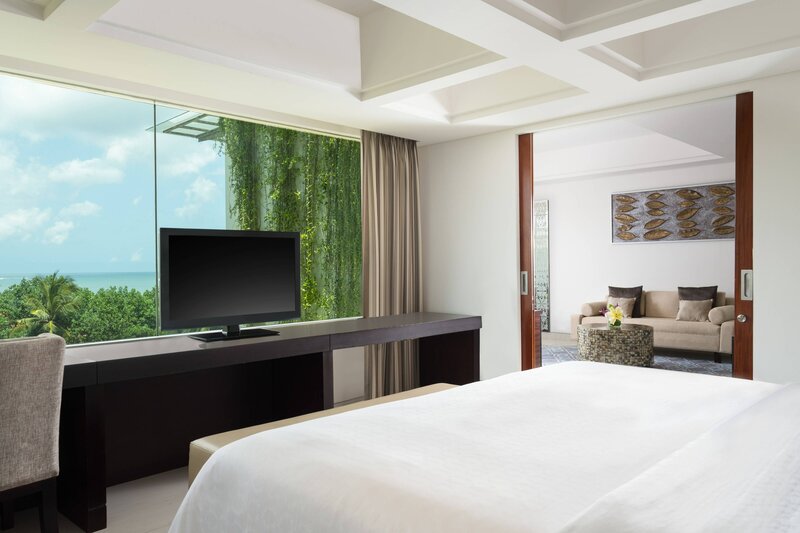 Comprising a total of over 1,600sqm, Sheraton Bali Kuta Resort holds nine versatile venues for stylish meetings and events. Our 700sqm Sahid Ballroom is the ideal place to host large conferences and upscale galas. The tasteful and pillarless venue accommodates up to 650 guests. Complementing the ballroom, the pre function foyer also serves as a place for casual cocktails for up to 240 guests. 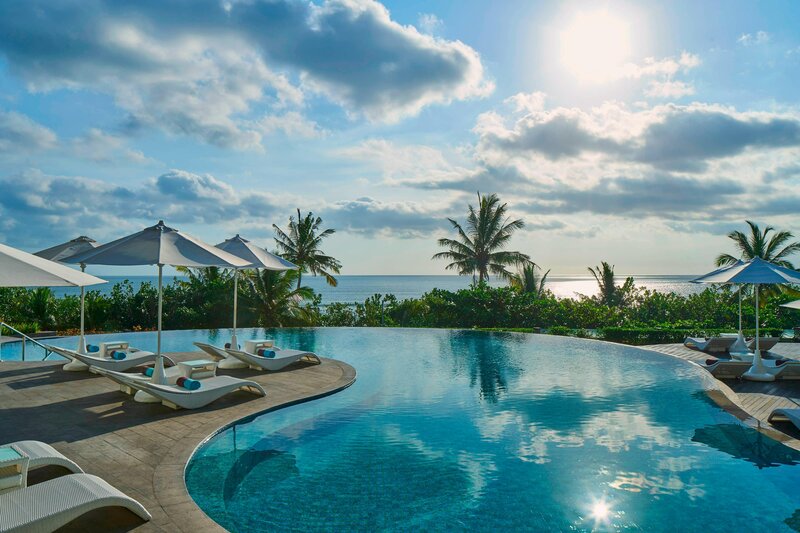 Conveniently set in the heart of the island’s thriving Kuta neighbourhood, Sheraton Bali Kuta Resort offers a resort-style, island holiday experience complete with the full range of signature urban experiences. 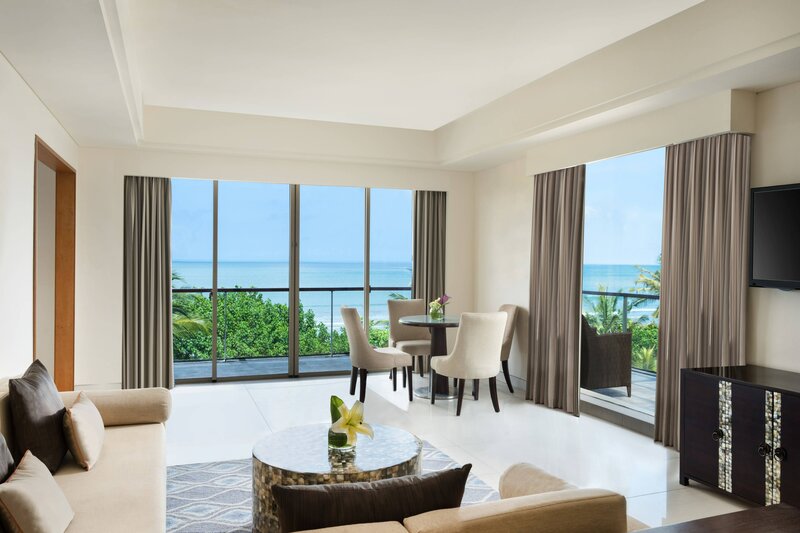 Bask in luxury with a one-of-a-kind experience in the resort’s Presidential Suite. Every element of the suite is designed to reflect the Balinese culture, from the spacious living area, private dining room, to its master bedroom. The two-story suite also offers a private sundeck complete with a private plunge pool overlooking breathtaking views of the Indian Ocean.